Large, commercial trucks that weigh upwards of 20,000 lbs. or more with the capacity to wreak catastrophic harm should they crash into a smaller, passenger vehicle must make sure that all their equipment is in safe working order before they can carry their freight on the highways. If an 18-wheeler should cause a crash that was precipitated by defective equipment such as faulty brakes, steering or tires, the driver, the trucking company, the company that manufactured the defective equipment may be held liable for the property damage, injuries and death that might occur as the result of a crash. 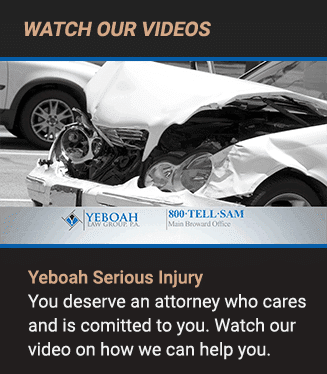 At Yeboah Law Group, our experienced Fort Lauderdale truck defects attorney protect the rights of our clients who have suffered serious injuries and lost loved ones in truck crashes caused by defective truck equipment and other causes. We fight for your right to receive compensation for your injuries and losses from the crash. Companies that manufacture equipment for commercial trucks owe a duty of care to design and produce products that are safe and that do what they were designed to do. The company can be held liable for the injuries and property damage that result from an accident that can be traced back to a design or manufacturing defect without the injured party having to prove the manufacturer’s negligence. Allowing the defective parts to be produced and sold is a breach to their legal obligation and our skilled product liability lawyers will hold them accountable for it. The designers and manufacturers of truck components and equipment are just the first in a chain of commerce that holds responsibility for those defective parts making their way to be installed in the truck. Defects can be introduced in the design and manufacturing process, but those parts must be tested, and inspected before they are packaged and passed through a distributor who supplies then to the retailer where the part can be purchased and installed in the commercial truck. Any business that plays a role in the design, manufacture, distribution and installation of defective equipment may be held liable when that equipment plays a role in a truck crash. When you have been injured in a truck accident, you need the strong advocacy of an experienced Fort Lauderdale truck defect attorney who will protect your interests against the corporate attorneys who are protecting the defendant’s insurance company. When the cause of the crash is defective equipment, unless it is something blatantly obvious, such as a total brake failure, investigating an accident with a commercial truck is complicated work that requires diligence and tenacity.  We find the best expert witnesses to provide testimony in support of your claim. Your truck accident attorney will investigate the crash and find out who is responsible and we will make sure that you receive maximum compensation. If you prevail in your claim for compensation, you may recover damages for your medical expenses, your lost income from work, pain and suffering, disfigurement, disability or diminished earning capacity, loss of enjoyment of life, and in some cases, spouses can receive compensation for the loss of consortium. At Yeboah Law Group, we hold those responsible for our clients’ injuries accountable for their losses. If you have sustained a serious injury in a truck accident caused by defective truck equipment, you need the skill and experience of our product liability attorneys. We will fight for your right to fair compensation. You are welcome to call and schedule a free consultation at 1-800-TELL-SAM or complete our contact form. We are proud to represent clients throughout South Florida.